Thomas Banhazi completed his PhD studies at the University of Adelaide in South Australia studying the engineering aspects of livestock buildings and their impact on indoor environmental quality. He worked as a Research Scientist at the South Australian Research and Development Institute for 17 years before joining the University of Southern Queensland (USQ) in 2010. He is currently an Associate Professor at USQ responsible for the delivery of agriculture related courses in addition to supervising a number of post-graduate students. Associate Professor Banhazi has published in excess of 200 book chapters, journal and international conference papers, in addition to the large number of scientific reports, extension articles and seminar papers he also produced. He serves on the editorial Board of the “International Journal of Agricultural and Biological Engineering”, the “Journal of Information Processing in Agriculture” and the “Journal of Agricultural Informatics”. He was the Guest Editor for the special journal issues of the “Australian Journal of Multidisciplinary Engineering” for number of years and for the Elsevier published Biosystems Engineering in 2013 and 2019. He has successfully patented a number of innovative technologies in the US, Australia and Europe and actively engaged in the commercialisation of the patented inventions via his commercialisation companies. Dr Banhazi has been involved in approximately 40 research projects both in Europe and Australia funded by various government agencies and farmer organisations. His expertise is mainly related to Precision Livestock Farming applications and environmental assessment methods. However, his research interests also include thermal and aerial environment of livestock buildings, the effect of airborne pollutants on the health of animals and workers, emission abatement and livestock waste management technologies. 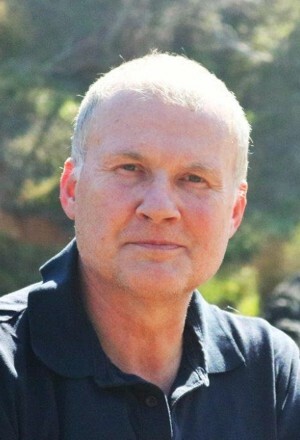 He is the past Chair and current Honorary Chair of the CIGR (International Commission of Agricultural and Biosystems Engineering) "Structures and Environment" expert group, as well as the past president and current Vice-President of the Australian Society for Engineering in Agricultural (SEAg). He is one of the Directors of the China based International Research Centre for Animal Environment and Welfare (IRCAEW) and has additional visiting professorial positions in Europe and Asia. Dr Banhazi has been the recipient of the South Australian “Pig and Poultry Industry Award” in 1999, the “Best Agricultural Engineering Innovation Award” in 2009 and the “South Australian Primary Industry – Breakthrough Innovation of the year” award in 2010 in recognition for his work with the Australian livestock industries. He has been frequently invited as Keynote speaker for various International conferences to share his expertise with the wider scientific community. In his spare time Thomas runs the University’s Arthouse film club and the town’s only aikido club.